Come, Love the World with Us! Membership at Throop represents a deeper connection with your chosen community. If Throop feels like your spiritual and religious home, set up a time to talk with Rev. Tera about membership. 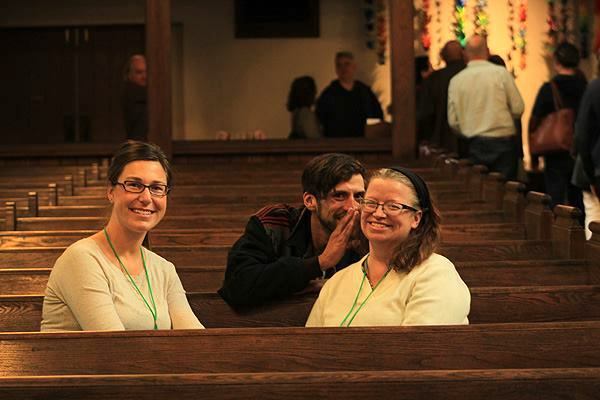 Newcomers Social: held every other month at Rev. Tera's home, this is a casual gathering and a chance for you to get to know other newer folks at Throop as well as some longer-term members. Welcome Dinner: hosted by a Throop member, these are small dinners of 6 - 8 people, made up of longer-term and newer people, that offer another way to start making friendships at Throop. We hold a New Member Welcome Ceremony a few times a year, during a worship service, where the congregation formally welcomes you. "Becoming a member of Throop UU took me by surprise. Not the decision--the ceremony. I had watched others take the pledge, make the commitment to participate fully, and thought I knew what it would feel like. It felt like nothing I have ever felt before. A loner most of my life, it was not until then, at the age of 80, that I fully experienced the uplifting sense of connection that comes from dedicating one's self to a loving, purposeful community. After the ceremony, as I walked back to my pew, I looked at the congregation and no longer felt like an interloper; I knew I belonged." After filling in the information, save the completed form to your computer prior to emailing it to Rev. Tera at pastortera@throopuupasadena.org. You may also print out the completed form and give it to Rev. Tera Klein.